Repurposed materials gives industrial materials a second life as agricultural products. Repurposed materials is the only company in America whose entire product line is made of "repurposed" items. 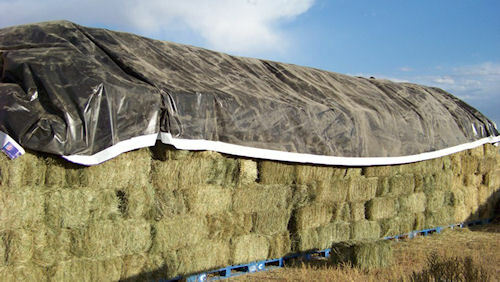 Advertising billboards re-purposed as tarps for hay equipment, pond and ditch liners, etc. Scrap conveyor belting re-purposed as flooring for barns, trailers; wind breaks, chute liners, etc. Street sweeper brushes re-purposed as back scratchers for livestock. Super sacks re-purposed as material storage for feed, etc. Mining tires 6' and 12' re-purposed as bull and bullet proof water tanks. Climbing rope re-purposed as horse leads, tie down hay, general purpose. 275-gallon totes re-purposed as water tanks, made into mini firefighting units, etc. Snow fence wood re-purposed as fencing, barn siding, etc. To learn more about products available from Repurposed Materials go to: www.repurposedmaterialsinc.com.